*Authorized Armstrong Dealer* The trusted name for hardwood for over 25 years, we have expanded our product lines to include the leading names in quality carpet, ceramic tile, and vinyl. You can now get the superior craftsmanship that you expect from Champion’s experienced technicians in every room of your home. We will bring the showroom to you, or stop by to see all the products and cutting edge technology we have to offer. 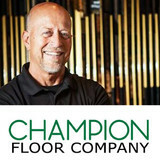 Did you know that Champion Floor Company does have evening and weekend hours? We are open during these times by appointment only, so you are sure to get all your questions answered by one of our qualified sales people. Call us today to schedule a visit to our showroom at the most convenient time for YOU! Founded by Karen Rose, Classic Carpet & Flooring has developed a reputation for being a trustworthy company. From the business’ beginning in Karen’s home over 30 years ago, Classic Carpet & Flooring has concentrated on selling quality flooring and providing expert installation at reasonable prices. This simple philosophy and our customers’ satisfaction with our work have helped our company steadily grow. The fact that most of customers come from word of mouth advertising helps keep our overhead low, which helps us keep our prices low. We have built a large clientele in the St. Louis area working with homeowners and business owners who are satisfied with our quality products, professional workmanship, and personal service. Today you can visit our store in Florissant, or we can bring carpet, vinyl, ceramic, hardwood and virtually any other type of flooring to your home for a free shop-at-home appointment. Beyond that, we work directly with most major manufacturers, ensuring the lowest prices on the best goods available. To complete the experience, we offer professional, guaranteed installations with some of the best mechanics in the business, all of whom have long-term relationships with our store. Gateway Flooring is a family owned company that was founded and has been operated by Norb Werkmeister since 1986. With over 35 years of experience in the flooring industry Norb and Gateway Flooring have completed residential and commercial projects all over the St Louis Metro and surrounding areas. We only use in house certified and expertly trained installers. We hope that you explore the rest of our website. We carry many quality products, if you have any questions feel free to contact us. *Authorized Dealer of Shaw Floors* Vallow Floor Coverings, Inc. is one of the largest family-owned floor covering retailers in the greater St. Louis metro-east area. Customers have seemingly limitless options in terms of selection from an expanded line of floor coverings as well as guaranteed professional installation. “Floor coverings” include carpeting, ceramic tile, natural stone and porcelain tile, natural hardwoods, sheet vinyl, luxury vinyl tile, laminate products, custom area rugs, and much more. For more than 50 years Vallow Floor Coverings, Inc. has always taken great pride in giving personal attention and unmatched service to all of our customers starting with the selection process through final installation. Just as Mr. Vallow started the family business in 1964, we are constantly looking for ways to improve our efforts with every customer; developing a lasting relationship of trust and friendship as we are committed to making your visit a pleasant experience. We are pleased to refer to our patrons as “Once a customer, always a friend” because your confidence and total satisfaction is our ultimate goal. *Authorized Armstrong Dealer* Our employees are thoroughly trained in the art of floor installation and refinishing. Our average lead man has approximately seven years with the company and his primary goal is your satisfaction. Just Around The Corner is a family owned and operated St. Louis business that was founded in 1989. Initially, it was a one man-one van company. Since then, we’ve grown to over 17 employees and 12 vans and trucks. We also have a retail store with a beautiful showroom in St. Louis, MO. Rich’s goal has never been to, excuse the pun, get rich. His primary passions are family, his church, working with wood floors, serving others and playing music. Rich treats his employees like family. Because of his interest in each and every one of us, we tend to be pretty satisfied, and happy employees are required if you want happy customers. Welcome to Floor Coverings International Metro East! We are the premier flooring company serving the greater Metro East, Belleville, O'Fallon, Collinsville, Edwardsville area. We provide high quality design and installation services and carry the latest flooring products including hardwood, carpet, natural stone, and tile flooring! Take the guesswork out of getting new floors and schedule your free in-home consultation today! Flooring is made easy, simple, and stress-free with Floor Coverings International Metro East. We understand that each home is special, and therefore requires attention to detail. Our focus is paying close attention to detail when it comes to your floors. Whether it is carpeting, hardwood floors, tile, or any of the other options we offer, we carefully treat each design as a custom project, and we work with you to meet your budget and deadlines to install the floors of your dream home. Hoppy Interiors is a full service flooring store that provides and installs a wide range of products including; carpet, hardwood, tile, Hunter Douglas window fashions, and Organized Living Closet systems. We also carry Porter Paints, and solid surface countertops by SileStone, CaesarStone and natural stones. Our professional staff offers Residential and Commercial consultation, design assistance and installation to fit the needs of any client. We enjoy working with each client to ensure that each project is transformed into their vision. Please contact us to schedule your consultation today. Residential / Commercial Professional Installation. In 1984 Jim Abeln left the architecture field to start his own hardwood floor contracting business. With a knowledge and love of beautiful woods and an appreciation of fine architecture, he proceeded to make a name for himself as someone who does extremely high-quality wood floor work. Attention to detail, reliable service and a passion for beautiful floors allowed the company to grow and thrive. Then in the early 1990's a need arose to source reclaimed flooring for repairs and occasional room additions in historic homes. Abeln Floor Systems became the first and only company in St. Louis to reclaim, warehouse, and resell the reclaimed wood flooring to customers, rehabbers, and to other wood floor contractors in St. Louis and beyond. Today we own and operate two large warehouses to better serve our customers. Serving St. Louis Since 1932! Henges Interiors delivers professional quality residential and commercial flooring installations throughout the Midwest United States. We service the St. Louis metro area including St. Charles, Lake St. Louis, Chesterfield, Ladue, Maryland Heights, O'Fallon and the entire metro east. If you are remodeling an old structure or building a new one, we specialize in residential and commercial interiors. Our years of experience as interiors specialists have allowed homeowners, re-modelers, and contractors to benefit from our extensive lines of products and services. If you are remodeling 1 room or building 100, our one-stop convenient shopping environment will make Henges your company of choice. Our friendly and helpful staff are always innovating new and better solutions. We cater to your needs and desires on YOUR budget. *Authorized Bona Certified Craftsman* Hardwood floor specialists trained and passionate about all your hardwood floor needs. Focused on bringing your inspiration and vision to life while also providing an excellent customer experience. Our dustless equipment is also set with HEPA filters to provide a dustless and comfortable environment throughout our work. We also guide you on best methods to maintain your beautiful investment for years to come. Let’s talk about your project and find out how we can help you. Put your mind at ease, the Flooring Galaxy will make your next flooring purchase a simple and convenient process. 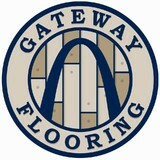 Flooring Galaxy in Saint Louis, Missouri. Flooring Galaxy is a family owned and operated Floor covering Retailer, offering Guaranteed Installation of all Flooring with Lifetime Service on all of our selections of Carpet, Luxury Vinyl Tiles and Planks, Porcelain tiles, Laminate flooring, Vinyl floors, Carpet tiles and Hardwood floors in Brentwood, MO. Flooring Galaxy is the best professional flooring store to have your new floors installed. We have been in the same location in Saint Louis, Mo. 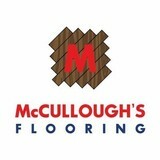 as a Family run, St. Louis owned flooring retailer for over 10 years. Our employees have over 100 years of combined floor covering experience to ensure your needs are met and exceeded. Pricing at the Flooring Galaxy is by the square foot (sf). We price each item separately, allowing you to choose what products and services best fit your needs and budget. Missouri Interstate Flooring is the name of the installation company that is operated out of our Brentwood, Mo location, They are bonded and insured for your safety and peace of mind. We offer a Lifetime Service Warranty on all flooring installed. Check out what others are saying about us! If you’re looking for high quality service at a fair price, you’ve come to the right place. At UNK Flooring LLC. we’ll give you the attention and personal service, whether your project is residential or commercial, a new build or a renovation, we have your flooring needs covered. We constantly upgrade so you can count on UNK's instillation force. Our members are professionally trained in one of the best training schools in the country. Our four-year program trains our men and women in the following areas: carpet, ceramic tile, hardwood, and resilient flooring. Our highly trained installers implement your design specs so the finished product is exactly what you envision. Luminous Flooring is a hardwood flooring specialist in St. Louis who identifies to the needs of their customers. For over 10 years, we have been providing our customers with professional installations, refinishing and repairs because we know what value you place on them. We're locally owned which means our services are a bit more personal than others. Reid Floors & Renovations, Inc.
At Reid Floors & Renovations, we pride ourselves on family. Our business focuses on building a relationship with you and yours. With 21 years of installation experience, your dream space becomes reality. Our installers are in house and Nigel & Dee walk through every step of the flooring process with each customer. From product selection to installation, our team works closely together to make sure you are creating a space your family will love. Visit our NEW storefront and showroom - with over 100 displays, there are endless possibilities for your home. Call us for a free estimate! We're excited to get to know you! What kinds of services do hardwood flooring installation professionals in Calverton Park, MO provide? Find hardwood floor experts in Calverton Park, MO on Houzz. Search the Professionals section for Calverton Park, MO hardwood flooring installers and dealers or browse Calverton Park, MO photos of completed installations and look for the professional’s contact information.